Keeping your work area neatly organized helps ensure that you can stay productive during a busy day. 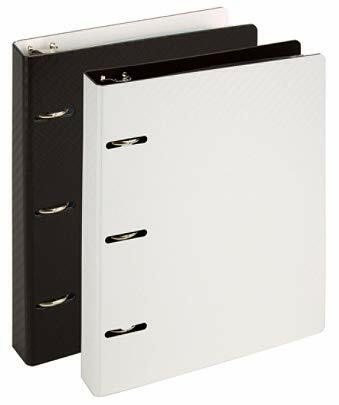 These Office Depot mini binders are a simple way to make sure your documents and paperwork are stored and easy to find, so you can quickly look up the information you need. The mini binders are 3-hole punched to accommodate junior legal (5" x 8") sheets. DURABLE: Made of rugged polypropylene to provide enduring use. SATISFACTION GUARANTEED: Full refund if you don't like it, it is that simple.